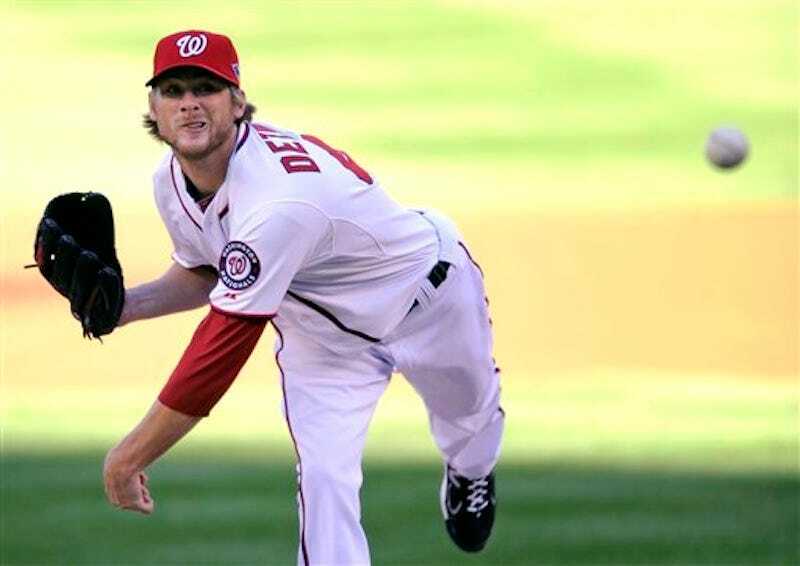 Undeniable badass Ross Detwiler gave the Nats four full innings of one-pitch relief. 14 batters faced, 2 hits, 1 walk (intentional), 0 runs. 46 pitches. All fastballs. I mean 100% fastballs. In a game that will otherwise likely go down as just another ho-hum pre-All Star break extra-innings snoozer, Detweiler staked a strong claim to the title of He Who Gives Less Shits Than Anyone. Just keep pumping that average fastball, Ross, you goddamn hero. UPDATE: It's over! The Nats took it in 16 innings on a Ryan Zimmerman 2-run homer. Goodnight.